First off, what is Harry Potter? I’m sure by now everyone has heard of Harry Potter and know what it is about. However, just in case you don’t… Harry Potter is a story about a young boy who at a very young age finds out that he is a Wizard. He goes to a school named “Hogwarts School of Witchcraft and Wizardry” and masters the art of magic. He also soon finds out that his parents were murdered by an evil Wizard named Voldemort when he was just a baby, and that same wizard is now after Harry to kill him. 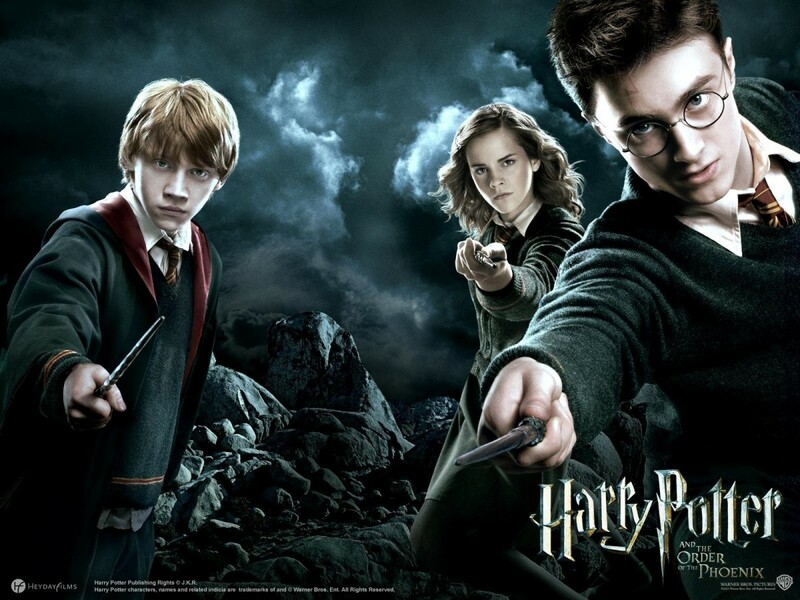 So, Harry Potter must team up with his friend Ron, Hermione, and many others to find a way to defeat him. So, you want to know why I think you should read Harry Potter? I'll tell you why! We are not normally used to seeing kids being the heroes in stories, much less these kids. Harry, Ron and Hermione are not your typical heroes. Harry, on the outside he’s a nerdy skinny guy with big glasses. Ron is the poor ginger that always had to use hand-me-down clothes and old worn out books. 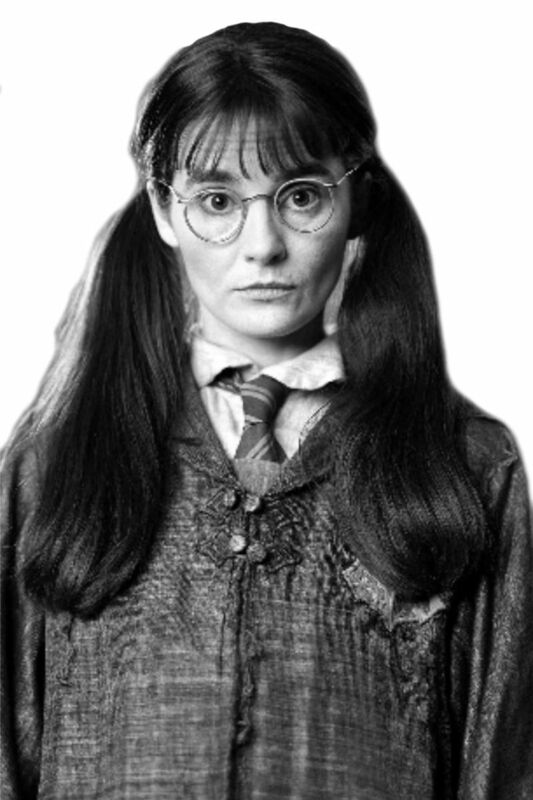 Hermione, the nerdy smart girl that knew the answer to every single question asked in class. These are the types of kids that would get picked on because of how they looked on the outside and some of their actions. 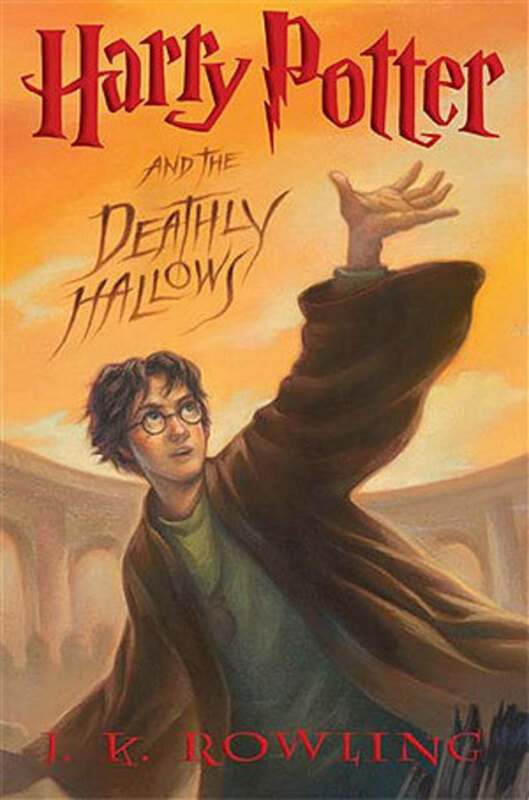 But instead in this book, J.K. Rowling shows us that even the geeky kids can be heroes and save the day! It puts hope in the minds of those that do get picked on in school. It gives them hope that there is something bigger and better out there for them and that they can achieve their goals if they try for it. "Well, thank you for that assessment, Mr Weasley. Perhaps it would be more useful if I were to transfigure Mr Potter and yourself into a pocket watch. That way, one of you might be on time." Even people who don't read books very often will find themselves intrigued by the story and wont be able to put this book down for very long at all. Reason 5: Why not just watch the movies instead of reading the books? While the movies are incredible, they just do not do the books justice. When a movie is made, there is a time limit. With a time limit, important things are left out. When reading the books and learning everything that there is to learn about a character, you start to feel a closer bond to them. I won’t give away spoilers, but if you take the time to read the books (even after watching all of the movies) you might find out things about certain characters that you would never have even guessed at. Of course I'm not saying don't watch the movies, because they are great! I'm just saying take the time out to read the books too and you won't regret it! In conclusion... I think everyone should give the books a chance. Don’t listen to the people that say “Oh, Harry Potter is stupid and childish, don’t read it” because those people are probably only basing their views from their friends and from catching a short glimpse of the movie. Give these books a chance and I’m sure that you’ll enjoy them! The article is quite a pleasure in reading. The simplistic style attracted me. Good pitch for Harry Potter, I read the first three books as part of a package deal and I thought they were very entertaining. I definitely agree with all your points, but especially the last one you made. The movies leave so much out! I still remember staying at my friend's house in high school and reading all of the Harry Potter books that were out (Philosopher's Stone - Half-Blood Prince). She was upset because I finished the 6th book and she was still on the 5th one. Then on my eighteenth birthday we ran out to Barnes & Nobel and bought Deathly Hallows the day it came out! I stayed up all night reading it while she tried to catch up with me in the series. I may have been late to join the initial Harry Potter bandwagon, but I'm a proud card wielding member now! I thoroughly enjoyed the Harry Potter series, and I think your reasons for people to read the series are right on the money. I, too, spent all day reading the final Harry Potter book when it comes out (with perhaps a few breaks for lunch and such). Everyone might think by the title of the book that it's a series about one character. What makes it so great is the author writes the story so you care about so many different characters, not just Harry. You care about the relationships, the battles lost and won and how the bonds between people grow, magic or otherwise. That is why the series is so beloved universally today and will be for all time. I really liked Reason 2, though for me, I would say that Neville is the unexpected hero. I loved him from the very, very beginning of the series (I think it was some time during PoA that he caught my attention). This is an amazing series, and one that I plan on re-reading again some time soon! Thanks for the hub! Rated up! I've read the series five times, and I am currently reading the Goblet of Fire for the sixth. They are just amaaazing. I have read the order of the phoenix twice and I've wanted to read half-blood prince and deathly hallows again, but I recently moved and my books are packed away somewhere and I can't find them. I have read (and taught) many books of all genre, and I have to agree with you, missa: the Harry Potter books aren't just for kids. They are very well written and also are multi-layered. My husband and I really enjoyed reading them. (He even read some of them twice). I have only ever read Harry Potter books in my life! !They are awesome,and keeps you wanting to read on and on..